Garena is the consumer internet platform provider providing online games. Anyone who has created an account can play an online game here. There are many popular online games to play. 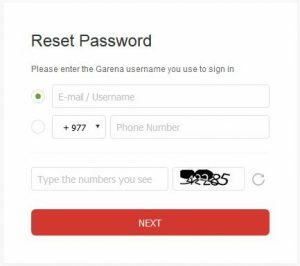 If you have the behavior of forgetting account login password and unfortunately you forgot the password of this Garena account then you don’t need to worry because you can recover your account by resetting password. In the home at top right corner you will see the login button.You can click that link to open the login tab. the click will pop up the login tab where you get two blank space. Ignoring the blank, at the bottom of the tab, you will see the “Forgot Password” text in blue color. You need to click that text to open the recovery page. If you think these steps are difficult and timeconsuming then simply follow this this https://account.garena.com/recovery link to open the recovery page.In that login page, you will need to fill some information. First you need to enter your Email address or Username that you use to sign in to Garena.Or you can enter your phone number in the second blank with country code. Then you need to enter some numbers in third blank. The numbers are given exactly beside the blank. Then you just need to click on the “Next” button. In the next step, you need to verify that you are resetting your own account.To verify, you can enter your phone number and get a verification code as SMS and entering that code in the process will take you to the password creating zone. Or you can choose the email verification where you will be mailed with a link in your entered email address. Then you need to click on the link to enter the password creating zone. In password creating zone, you need to create a strong new password and re-enter the same password in the second blank.Then you need to save the changes and you need to login with your new password. You need to remember the new password for the next login. Then you also need to remember to sign out before leaving or lending the device. 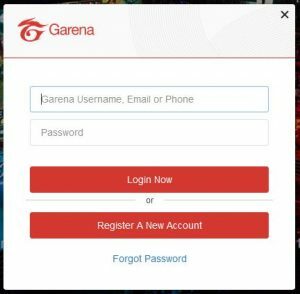 This entry was posted in Account Reset Password and tagged change garena password, garena password change, How to reset and recover Garena password, recover garena password, reset garena password on February 12, 2018 by jcgbyHvNvn. Where did you face the problem? Can you mail us with screen shots?